As tech lovers, we all need to make a greater effort to be responsible with our old electronics, gadgets and devices. Recycling electronics is still a new concept and process for most people. Why can’t we just leave our old monitors and TVs out on the curb? The garbage truck will dispose of it, right? Wrong. No, most city sanitation workers don’t deal with recycling electronics, so your forgotten curbside TV will be thrown atop a giant, toxic pile of e-waste. Not everyone is aware of just how damaging e-waste can be for the environment. According to the Environmental Protection Agency electronic waste contains lead, mercury, and hexavalent chromium—all quite harmful to human health and the environment. Most big cities are quickly moving the e-waste issue to the forefront. We know TVs can be heavy, especially those old analog tankers, but please don’t just drag it out to the curb or dump it in a field somewhere. You actually have a lot of options when it comes to getting rid of your old TV. Here are our suggestions for what to do with an unwanted TV and how to recycle it. Instead of throwing away your old TV try donating it. Think about it, TVs are a big-ticket item, and if you’re just going to throw it away (please don’t) or recycle it (please do) then why not donate it to someone who needs it. You will most likely get a tax credit for it and would be helping an organization in need. Call up the Salvation Army or a Boys and Girls Club in your neighborhood. Check with local schools or libraries. Make sure your television is still in good shape—it’s fine if it’s outdated, but it’s not very considerate to donate broken goods to a charitable foundation. And if it’s a smaller television set, the kind someone can carry out of a store by themselves, consider calling your local Goodwill agency and inquire as to whether they accept TV sets for donation. Some do, but some do not. Check locally to see if your state has established e-waste recycling centers. There are a couple of websites listed below that can help you out with that—just search your city and state on sites like TIA E-Cycling Center and MRMrecycling. You may be surprised with you results. Washington state has 200 collection points open since January that collect old televisions, computers, and monitors for free. Maine and Oregon have similar programs and most states are starting small but in the process of organizing larger eRecycling campaigns. Most big name retailers, such as Best Buy, Walmart and Office Depot, have their own electronics recycling programs. Also, big name brands like Sony, Panasonic and Sharp have recycling programs, so Google the company’s contact info and ask around. 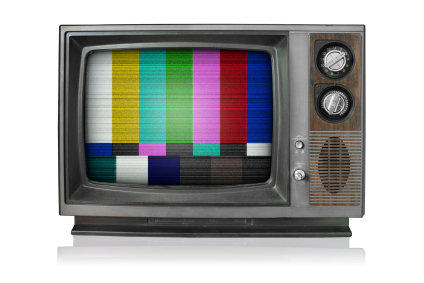 The manufacturer or retailer of your television set may reclaim and recycle it for you. Check out their website to see if the retailer or manufacturer who sold you your TV is on the EPA’s list of companies providing the service.